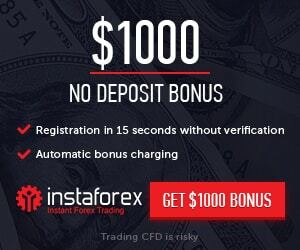 Use the opportunity $50 Free Start-up Bonus to check out FXCC trading conditions with no need to invest your own funds. Take advantage of the $50 Free-Start-up Bonus and boost your trading experience in a world-class trading environment by FXCC and feel the excitement of live trading with no initial deposit required. Don’t waste time and take advantage of our unique offer before it’s over. Bonus offer : $50 Free Start-up Bonus. Register a live Trading Account. Complete the Verification Process. Receive a $50 Free-Start-up Bonus. Trade and Withdraw the profits earned. Maximum leverage of accounts participating in this offer is 1:100.